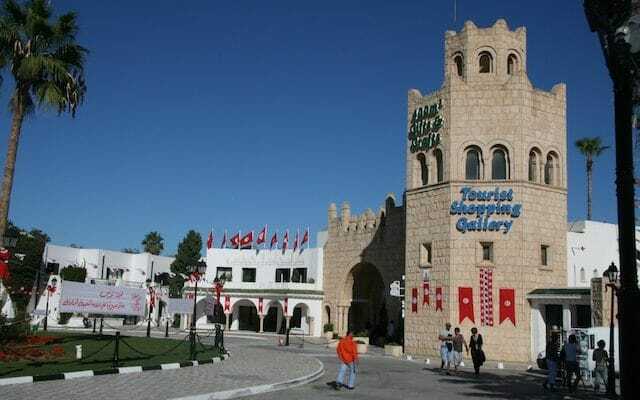 Sousse and can easily be reached along the coast road leading to Hergla or from the busier GP1. This area has some of the most popular tourist resort destinations and inevitably there has been a conflict between preserving ancient villages such as <URL=’https://www.tunisia.com/community/wiki/sidi-bou-said/’>Sidi Bou Said, or developing more modern centers to cater to western tourists. Port El Kantaoui falls in the latter group, yet it has a lot to recommend it. This luxury resort was purpose built in 1979 as a luxury holiday destinations. It quickly established itself as one of the most popular holiday resorts in Tunisia. Port El Kantaoui was built around a large artificial harbor which provides mooring with 340 berths for luxury yachts from all over the Mediterranean. It also provides a host of modern shops, boutiques, cafés and tourist attractions to appeal to Westerners behind a faux castle façade. Known as the ‘Garden Port’ it continues to be popular particularly with families who enjoy all the facilities. Young people also enjoy the nightlife which is more readily available in Port El Kantaoui. The town has a number of luxury hotels including the Hotel Kanta, Marhaba Palace on the beachfront and the Royal Kenz. The hotels offer great facilities with anything from 250-400 rooms. Swimming pools, beauty salons, coffee houses and restaurants are all part of the resort of Port El Kantaoui. It also has a PGA approved golf course which is one of the most popular attractions, due to its exceptional layout and quality landscaping. Tunisia’s warm dry weather makes it the perfect destination for golfers. Port El Kantaoui is immaculately clean. The promenade is kept well swept and litter free making it a delight to stroll along the wide pink brick pavement. By day this is a gentle and pleasant stroll, but lit up after dark it is magical place to stroll. The Tourist Shopping Gallery is set behind a grey castle façade, not a patch on the genuine thick walled Ribats and fortresses in the area, but a pleasant novelty all the same. The shopping centre sells items geared towards the tourist, with appropriately higher pricing. You can buy food, beer and soft drinks, medicines, stamps, postcards, books, newspapers and plenty of souvenirs here. It makes a refreshing change from the pressure and noise of the local souks, but it is far from the ‘real’ Tunisia. Beyond the stone archway delightful paved footpaths lead through plazas and courtyards to the marina. There are many whitewashed modern apartment buildings overlooking the area with traditional domes, arches, shady balconies and flat roofed designs. These pleasant Andalusian style buildings are modern yet blend naturally with the Tunisian location and make beautiful holiday apartments for wealthy Tunisians and foreign tourists. The startling white architecture is beautifully set off with palms, scented jasmine and bright pink bougainvilla. The modern marina is pleasant to stroll around with its flotilla of modern fishing boats, motor boats and luxury yachts. There are plenty of boat trips on offer from the marina. Some boats have underwater viewing portholes or glass-bottoms which are great on a calm day. There is a pirate ship which takes trips around the bay. More authentic Tunisian experiences can be enjoyed on the traditional single sailed feluccas which sail from the promenade. Port El Kantaoui is an great place to spend the day. It has an excellent long sandy beach with plenty of sunbeds and watersports. Visitors can explore the waterfront and shop during the day and dine out under the stars at night. Tables are set overlooking the marina with colorful sun umbrellas and offer an attractive option to sip a fruit juice or beer, or to enjoy dinner. 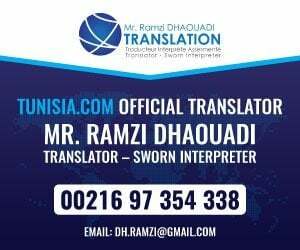 Food ranges from international favorites to traditional Tunisian fare such as a meat stew poured over fine couscous or tajines which are omelettes with meat, spinach and spices added to the pan. For dessert enjoy a traditional pistachio ice cream or a sticky pastry which Tunisians make so well. 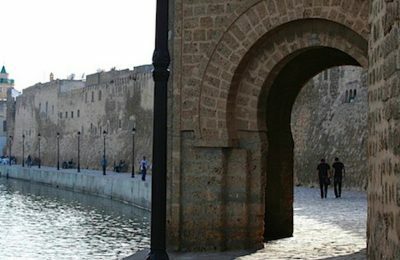 Port El Kantaoui offers a full day out for tourists who are staying in the more traditional resorts of and SousseHammamet. 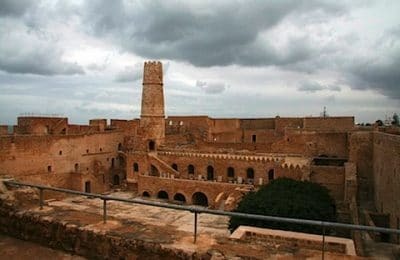 For those who choose to stay in this luxury tailor-made resort, visits can be made to the nearby city of Sousse to experience a more traditional Tunisian culture with bustling souks, a busy fishing harbor and the Great Mosque. Whichever Tunisia you choose, Port El Kantaoui certainly provides an interesting option.